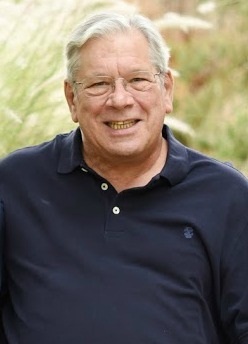 Buhl, Robert (Bob) M. 62 of Mesa, Arizona, passed away on April 17, 2017. Bob was born on February 14, 1955 in Fond du Lac Wisconsin, and lived in Arizona for 37 years. He received a Bachelor of Business Administration from the University of Wisconsin Eau Claire, majoring in accounting. Robert worked for United Blood Services as a Director in their accounting department until his retirement. Bob also volunteered as the Equipment Manager for Pop Warner Football league. Known for his love of the Green Bay Packers, his beloved pets, and his sense of humor, he will be missed by all. Robert was preceded in death by his parents, Katherine D. Buhl (Loehr) and Harold A. Buhl. Robert is survived by his wife, Karen of 36 years and their three children; Katherine (Kyle), Anthony, and Christopher, his grandson Jonathan, brother Herb (LouAnn), sister Chris (Neil), mother-in-law Rosie Paulson, and numerous in-laws, nieces, and nephews. Services will be held on Friday, April 28 at 10:00 a.m. at St. Bridget’s Catholic Church, 2213 N. Lindsay Road, Mesa with a reception following the service. Arrangements by Bunker Family Funerals & Cremation. In lieu of flowers, donations may be made in his honor to the American Heart Association. For more information go to www.bunkercares.com. Bob was truly a kind, giving person and I will miss him tremendously. Rest in peace, my dear friend. Karen, we are sorry to hear about Bob’s passing. May the memories you and your family have of Bob comfort you at this time. May Bob have a peaceful and loving journey. Karen, so sorry to hear about Bob. Just know that you and yours are loved and in my thoughts and prayers. You have our deepest condolences on the passing of Bob. We feel your sorrow because we love you. May God bless you and your family in your time of grief.